The epic challenge covers 54 miles from South London to Madeira Drive on the Brighton seafront. 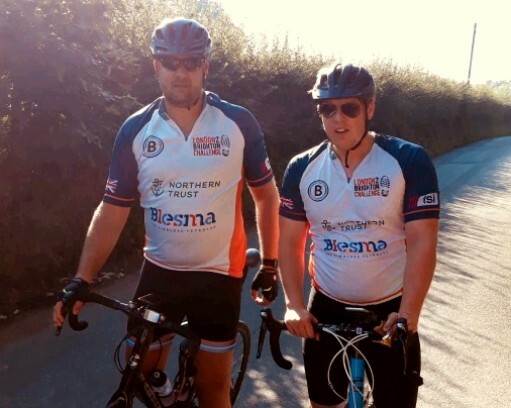 Once the team are out of London they will race along quiet country lanes, passing through Mitcham, Carshalton, Chipstead, Banstead and Haywards Heath, before taking on the challenge that is Ditchling Beacon – a mile long climb to the top of the South Downs. The team has so far raised over £9,000 for Blesma and is on track to reach its target of an impressive £11,000. Blackstone Consultancy’s services have been developed following years of military and law enforcement experience – the team has worked at the highest levels of the intelligence community and in the private security industry. As many of the specialists are ex-military themselves, they can easily adapt to serious physical and mental challenges. Managing Director, Simon Giddins commented: “We are proud to be supporting Blesma, a charity that gives back to wounded service members, many of whom will require care and support for the rest of their lives, long after the establishment and media have moved on.